Shoreham is the premier Sussex port (the largest port between Dover and Portsmouth) serving a hinterland of over 400 thousand people including the major towns of Brighton, Hove and Worthing. Shoreham Harbour, Sussex, which was based in the town centre up to the beginning of the 20th century is now mostly to the east of the Shoreham-by-Sea town boundary. 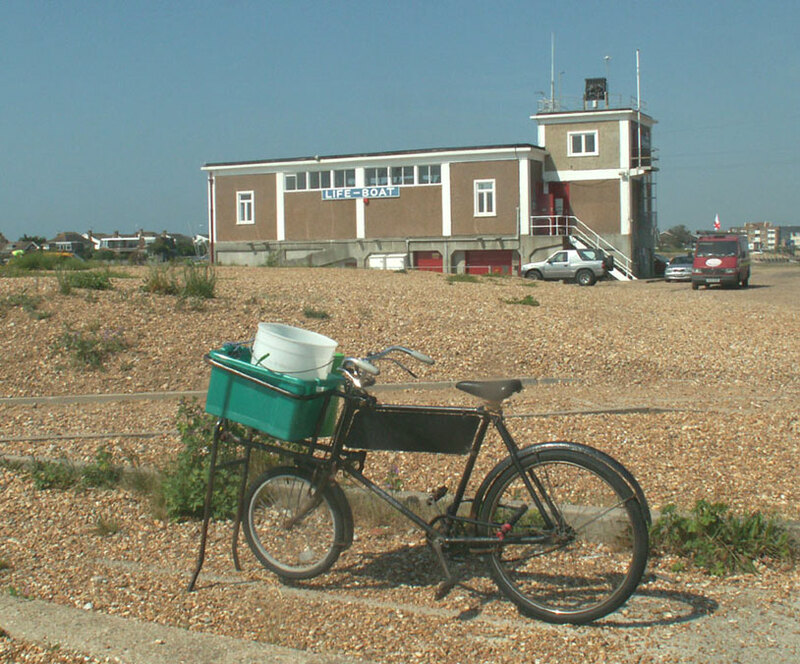 The entrance is opposite the Lighthouse on the south coast A259 road and marks the approach to Shoreham from the east. Trade fell during the 1970's and port is not working to its full capacity (i.e. there is still scope for further business). Because the small cargo ships that visit the port cannot go out at all states of the tide (a 6 hour window each tide, twice a day*), the trade in the latter half of the 20th century is further afield to Baltic and Mediterranean ports, and the port is unable to compete with nearby Newhaven for the regular cross-channel passenger trade. Fishing has increased in the 1990's. The roads in the immediate vicinity of the port are congested, but the short distance to the main A27 route running east-west connection with the motorway network and the A23 to London (55 miles, 89 km) means that Shoreham compares favourably with other south coast ports. The railway link to Kingston Wharf was removed in 1968 to improve the local road (A259) system. Port traffic comprises only 2½ % of the vehicles on the north-south arterial routes from the port to the A27 by-pass. or, Cllr Neil Parkin (Con) is Adur District Council's nominee for the Shoreham Port Authority Board. Shipping Movements from 26 August 1998 (excludes the daily aggregate imports). A Record of the shipping movements used to appear in the Shoreham Herald every week. 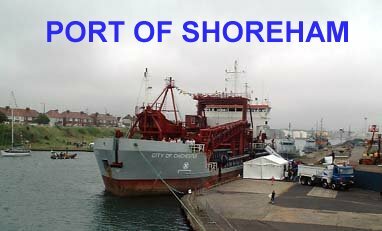 This brief entry is designed to give the reader a general guide to the shipping activities of the Port of Shoreham. The Baltic timber imports decrease during the winter spell when the Baltic freezes over. 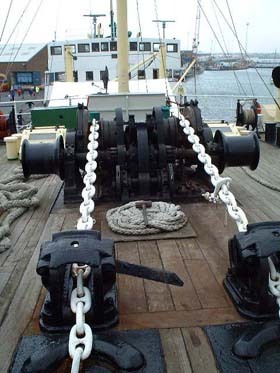 The largest vessels can be handled in the timber-handling Outer Layby to 120 metres long and a beam of 20 metres drawing 6.6 metres on the highest spring tides, to 5.5 metres on the neaps. 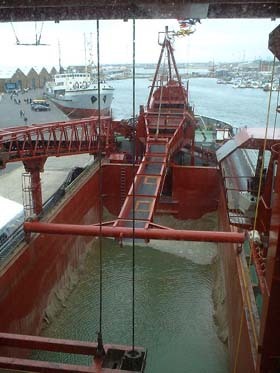 The 2,000 metre canal section of the port can handle vessels up to a length of 105.9 metres and beam of 16.4 metres. 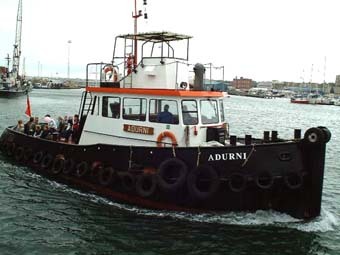 The River Adur wing of the harbour can cater for smaller vessels up to a length of 82.3 metres and width of 14.3 metres, with a draught of up to 5.5 metres. 1199 King John landed at Shoreham with an army and marched to London to be crowned. He succeeded Richard I. 1205 For three years, five Royal Galleys were stationed at Shoreham, making it as important as any Port in England. 1295 Shoreham was made a Borough. New Schoreham was also known as Hulkesmouth after the ships known as HULCS that were the main trading vessels in European seas during Medieval times. Cogs were other (earlier?) trading vessels. Salt and woollen goods are likely to have been important exports at this time. 1347 Shoreham supplied 26 ships of war for the siege of Calais during the reign of Edward III. 1404 Shoreham suffered encroachment by the sea. 1586 The greatest part of New Shoreham is ruined and under water. 1625 -28 Shoreham is an important port and shipbuilding centre. Ships were built near the current Norfolk Bridge. Nearby was the George Inn. 21 ships were built for Charles I. (At the start of the Civil War the English Navy had 82 under sail). After the Battle of Worcester (3 September), Charles II had to flee from the Cromwellian forces. 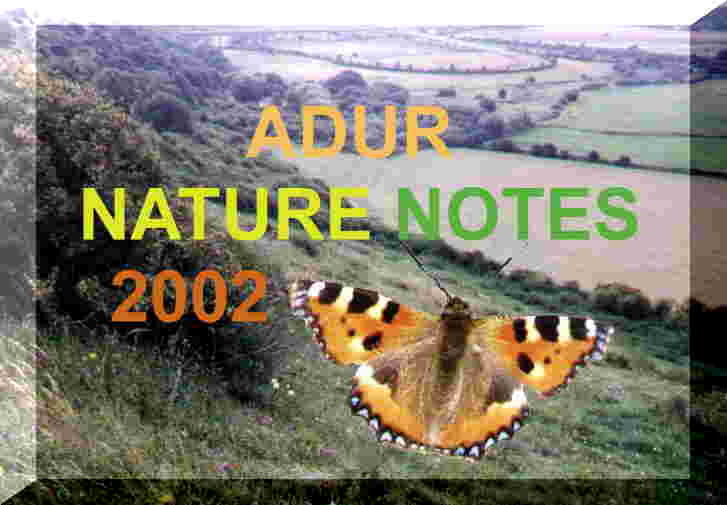 He eventually made his way to Bramber were he had to cross the substantial bridge over the River Adur. The route to the coast then followed the present hill route from Beeding Hill to Old Shoreham via Erringham. The story then says he ventured to Brighthelmstone (Brighton) where he met the skipper of the Surprise, Tattersall, in a pub called the George. 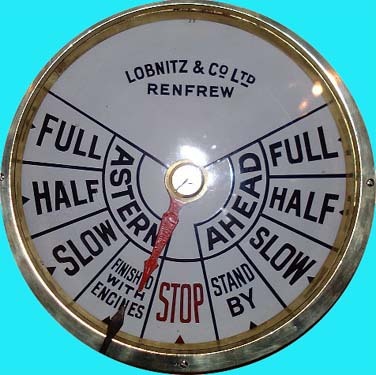 The King and Tattersall and crew boarded the Surprise which departed from Shoreham (15 October) for Fécamp in France when the tide was right, just after 7:00 am, about 2 hours after a low tide, 3 days before the Full Moon. 1690-96 Seventeen Men-of-War built for the Royal Navy during these years. 1703 A great storm shattered the town of Shoreham. This major storm of 26 November affected the English Channel coast of England killing over 8000 people. 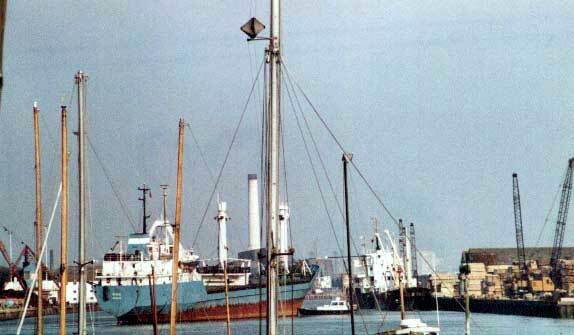 1821 The permanent entrance to Shoreham Harbour was completed at its present location. 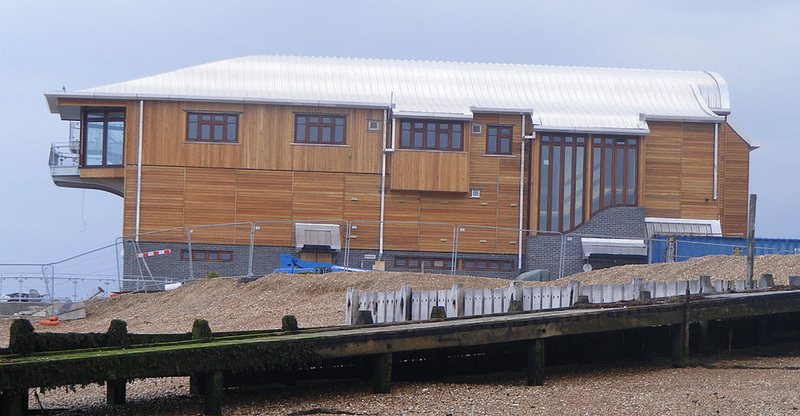 This was important because the longshore drift of shingle had caused problems for centuries. In 1832, 1200 ships entered the port. 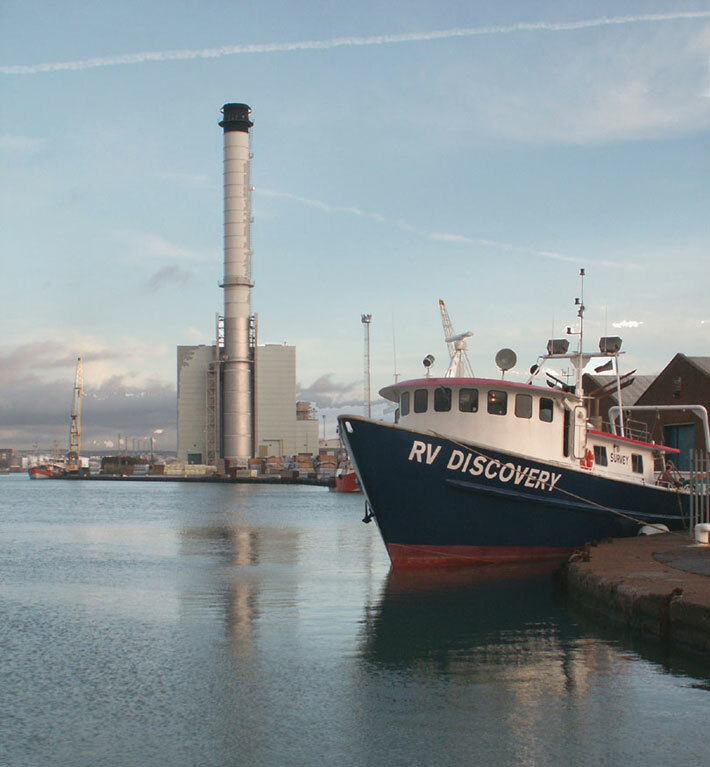 An average of four vessels a year were built in Shoreham during this decade. 1871 Of the 161 sailing ships registered at Shoreham, 88 had been built there. 1877 The building of larger steam-driven vessels brought about the end of Shoreham as a shipbuilding centre. 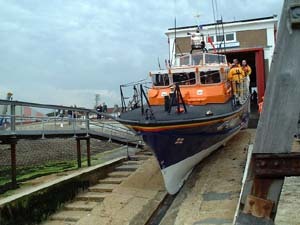 2002 The new HMS Shoreham minesweeper visits Shoreham. 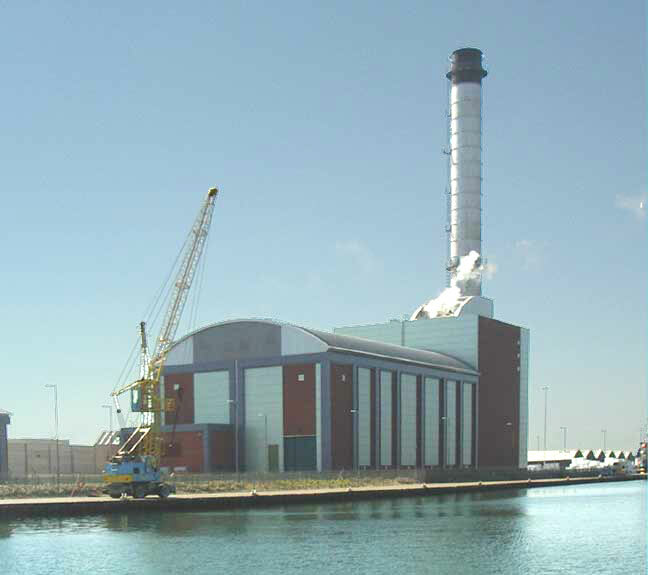 The old Power Station at Shoreham Harbour has been demolished. A new Gas Power Station is now completed.